So, I’ve become obsessed with cauliflower recently. I mean, I might as well start growing it. It’s gotten to the point where people are tagging me on Facebook in cauliflower recipes… I’m not mad about it. I found this recipe on Lexi’s Clean Kitchen, and just had to try it out. I have to say – if you don’t like cauliflower, you may not love these, but they are a GREAT sub for carbs!! And they are the perfect little fix when you need a bagel – just maybe lay off the cream cheese. 🙂 My suggestion is to really cook these through – the more you bake them, the better they get. I also ate them the next few days by putting my stove on broil and throwing one on the rack to brown and warm it up. YUM! Make even sized balls and lay onto parchment paper. That’s a really good idea! I’ll have to try it someday. 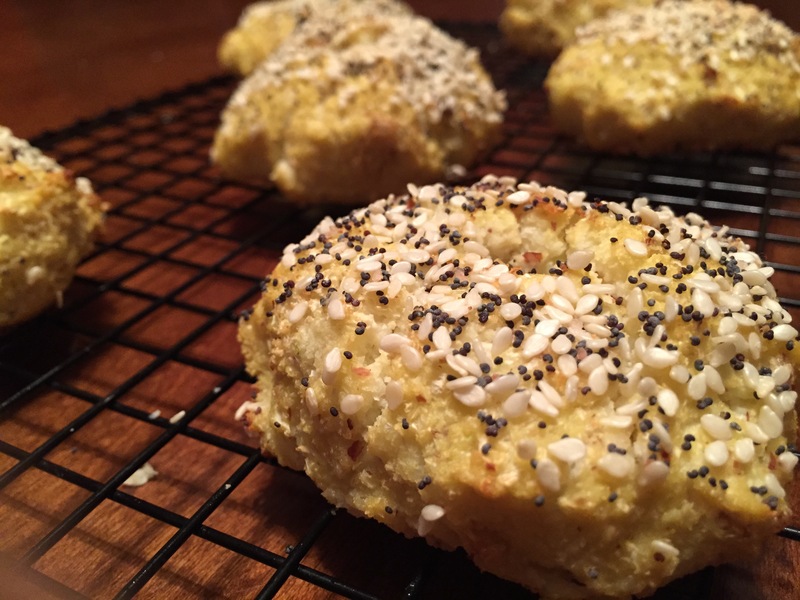 I’ve made something similar with cauliflower pizza before, but I do miss bagels sometimes. Yes Steven! It was great – I mean, you can def taste the cauliflower, but a good sub for carbs and bagels if you’re needing it!